Easy Reading on Bank Holiday Monday & Weekly Round Up! Happy bank holiday weekend lovelies! Instead of doing our regular ‘Sunday sharing’ for you on a Sunday we thought it would be a better idea to do it on bank holiday Monday in the hopes you are snuggled up on the sofa after a wonderful weekend! Our weekend saw a few parties but one that was particularly amazing to us was the tea party we attended on Saturday hosted by Lilac Hill! Cakes, crockery & scones were a sample of delights we were treated to! But, more on this lovely new company later! For now, here’s whats been featured in the world of weddings this week. ♥ We loved this real wedding featured on festival brides! 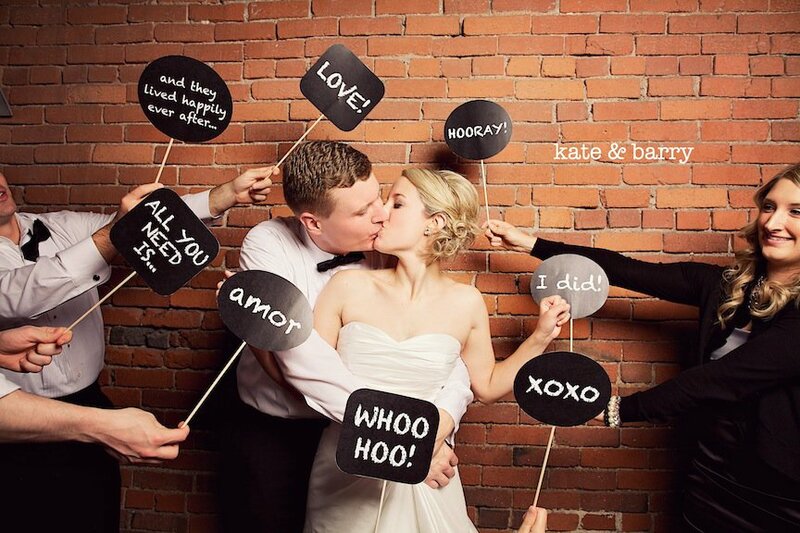 The photographers did a great job of telling the story from both the bride and the groom’s side! ♥ Earlier on in the week we met with Fran from the weddings team of Not On The High Street and had lots of lovely wedding chat! Speaking of which, they have a fantastic section on gifts to give the newly wed couple! We particularly love this bridal charm pin featuring something old, something new, something borrowed and something blue all rolled into one! ♥ ‘Music Is The Fabric That Binds Us‘ is a fantastic post over at Rock My Wedding about music played pre-ceremony, at the ceremony and of course at the after party! ♥ We just HAD to share this ‘theme park wedding‘ over at Rock n Roll Bride, we adore the seating plan and the amazing favors! ♥ Having a love for Mexico made this elopement even more gorgeous in tradition of Cinco De Mayo! Featured over at Ruffled, this wedding’s colour scheme oozed with colour! ♥ A Beautiful Mess also has a great tutorial on How To Make a Bow Tie! ♥ We featured some non traditional readings for those struggling to find the right words..
♥ Sometimes an ordinary guest book just isn’t enough! Here’s 21 unique alternatives! ♥ Let’s here it for the grooms! ‘A Suit That Fits’ shared with us a guide to finding the perfect fitting suit! ♥ The Designer Vintage Bridal Show was introduced! Showcasing amazing designers this September! ♥ We also featured part 1 of our winter wedding shoot at Yosemite with the gorgeous dresses by Deborah Lindquist! ♥ And here’s part 2! ♥ If your having difficulty finding a way to wear something blue on your big day, then here’s 12 ideas! ♥ And finally a spot of Wednesday wedding inspiration where we featured the gorgeous work from Three Nails Photography with a farm inspired shoot! THE SEARCH IS OVER, WE’VE BOOKED OUR WEDDING VENUE! PROJECT FIND EMILY’S WEDDING DRESS!